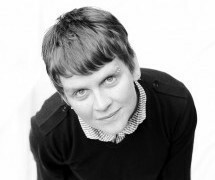 Sandra is a writer, filmmaker, interdisciplinary artist and curator. She writes reviews of visual art, film, books, theatre and dance for Disability Arts Online. 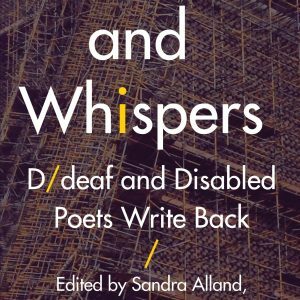 Sandra is co-editor, with Khairani Barokka and Daniel Sluman, of Stairs and Whispers: D/deaf and Disabled Poets Write Back (Nine Arches Press, 2017). She has also published three books of poetry, and won Canada’s bpNichol Award for Naturally Speaking (about disability poetics, gender and AI). Sandra has short stories in anthologies from Manchester’s Comma Press, including Protest: Stories of Resistance (on the history of working-class blind activism in the UK) and Thought X: Fictions and Hypotheticals (on Einstein, non-binary gender, disability and circus!). Her work is published internationally in magazines, journals and anthologies. Sandra recently co-curated and -made new video content for Disability Arts Online’s Viewfinder (with Lisa Mattocks), including the short film series ‘A Conversation With’ featuring Robert Softley Gale, Bobby Baker, James Leadbitter, Tanja Erhart and Nadia Nadarajah. 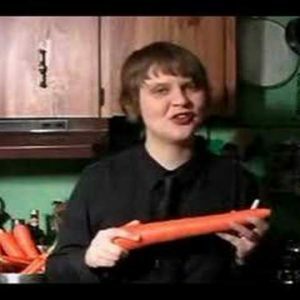 She has also made a series of shorts about queer and trans D/deaf and disabled artists in Scotland (‘I’m Not Your Inspiration’), and programmed BFI Flare’s first widely-accessible film programme of disabled and D/deaf artists. 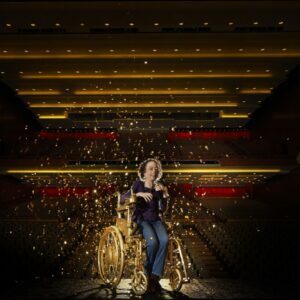 View Sandra’s articles on Disability Arts Online here.